Home > Blog > Under £50,000 to invest – what can I buy? Under £50,000 to invest – what can I buy? Glasgow offers some great low investment buy to let options but it can be daunting knowing where to commit especially if you don’t know the city. This week I thought I would blog about what you can buy for around £50,000 that offers a reasonably secure investment. A budget of £50k is stretching my property finding abilities a little but I love a challenge so here we go.. Normally when I am trying to find a low budget option I look around Govan , Cessnock or maybe switch North of the river and look around Haghill ( a popular area outside just past trendy Dennistoun) There are areas which offer “bigger and better” properties for around that budget but from a rental point of view , its always vital to focus on where demand from tenants is strongest. In Glasgow that means focusing on getting property as close to the city centre as possible – think overseas students, professionals coming to work in the city, close to large hospitals, areas where big employers have headquarters etc. 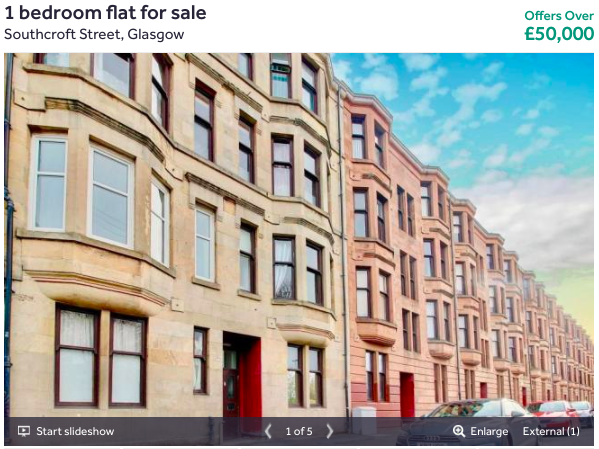 So option 1 is a wee 1 bed in Govan – this flat looks OK inside – you could probably get it for around £45000, it has a sitting tenant who is paying only £300 per month but this flat could easily get £400. So it may be that you need to wait to increase the rent but it still makes a good buy. It’s cheap, close to the new hospital and the new footbridge which is connecting Govan in the south to the super trendy West End. 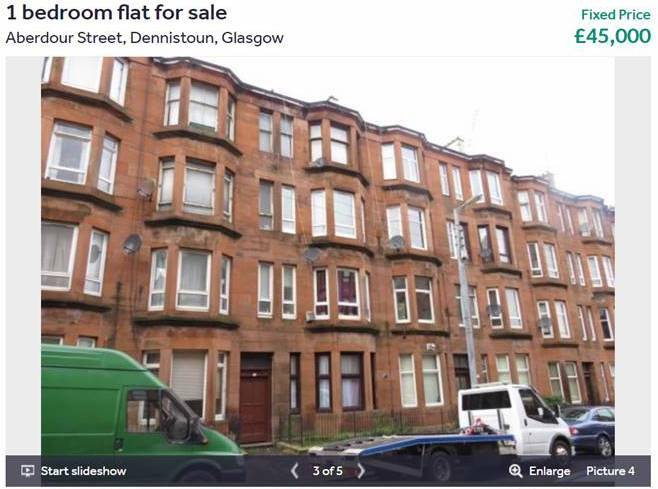 Option 2 is a top floor in Haghill – near Dennistoun – it’s fine inside, gas central heating, needs a little TLC but will rent well at £450pcm. Popular with students and young professionals. 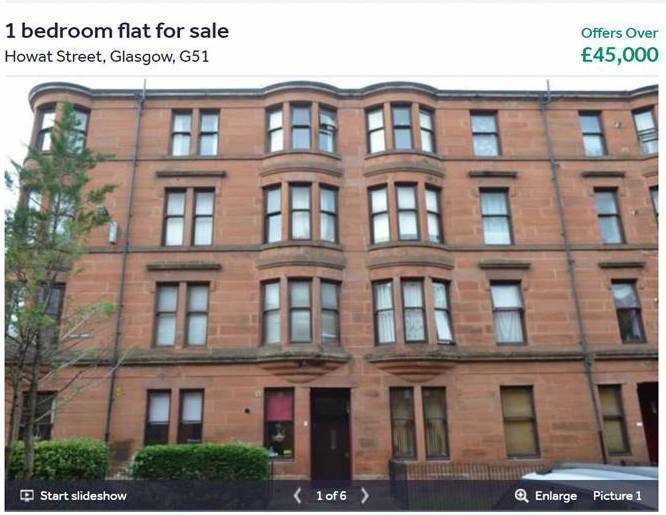 Option 3 is another 1 bed flat in Govan – good inside and with a little spend it could get £450pcm. Again in demand area close to BBC headquarter, STV – so a spend of around £55k will get a great yield. These flats will have constant stream of tenants, with little chance of voids as long as they are kept to a good standard and they make pretty secure investments, particularly those around Govan, given the new footbridge and regeneration around the Clyde side – BBC, STV and Barclays new offices.